Questions About Toenail Fungus Removal – How can I get rid of unsightly toenail fungus? One of the first questions about toenail fungus removal most people have is, “How is the best way to get rid of it?” The first step to getting rid of toenail fungus is seeking additional information on both the infection and how to treat it. Once a person knows what they are dealing with, they can make an informed decision on how to fight this infection. The quickest, easiest and best toenail fungus removal option is Nail Correct’s laser procedure. The procedure is FDA-cleared to remove the infection. Safe and effective, Nail Correct will have patients fungus free in just 30 to 45 minutes. With this laser procedure, no medication is necessary and the toenail will not be lost. It is simply the best way to rid oneself of this troubling condition. Other questions about toenail fungus removal may include “How do I get more information?” For more information and questions about toenail fungus laser removal, contact us at Nail Correct. Simply call (281) 794-7944. You may also email us at info@toenailfungusremoval.com The staff will be happy to answer any and all questions about the procedure. Appointments are often available the same day. Toenail fungus can be gone today! During the consultation, the condition of your toenails and treatment will be evaluated and discussed. Treatment options will be presented, and treatment can be started immediately. Patients will be given a detailed explanation of the procedure, including how the laser works, and what they should expect during the procedure. Lastly, they will be given a pair of safety goggles to wear during the laser treatment. 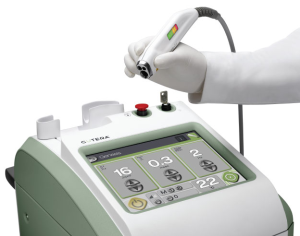 The toenails will then be treated with the Cutera Genesis Plus laser. After the procedure is over, patients can immediately resume normal daily activities. To get rid of toenail fungus forever, the staff will review in detail specific post-treatment instructions. This includes the proper cleaning of socks, shoes and nail care tools. They will also explain what type of environments are most conducive to fungal growth and they will outline the steps necessary for keeping the toes clean and dry. Questions About Toenail Fungus Removal and How much it costs? Do you have any questions about toenail fungus removal costs? Nail Correct’s laser treatment is reasonably priced. Typically, if one toe is infected, it is recommended that all toes on the same foot are treated. Fungal infections can spread quickly from one toe to another and the nail infection can be present even if it cannot be see.